April 24 marks six years since the Rana Plaza factory collapse in Bangladesh. This tragic event brought global attention to the conditions of garment workers, and calls for stricter standards and greater transparency in the apparel industry. Fashion Revolution is a global movement that emerged in the wake of the Rana Plaza disaster. Today, millions of people participate in the annual Fashion Revolution Week, organizing and attending events, showing their support online, and educating themselves about transparency in the apparel industry. This year, Fashion Revolution Week takes place April 22-28. From organizing an event to starting a conversation, there are ways for everyone to get involved. With more brands coming on board, it’s becoming even easier to choose Fair Trade throughout your wardrobe. Look for Fair Trade clothing next time you shop, or encourage someone else to choose Fair Trade for their next clothing purchase. Not sure where to find Fair Trade apparel? Take a look at Fair Trade USA’s shopping guide and Fair Trade Federation’s member list. Join the conversation online and help spread the word by posting on social with #whomademyclothes. Fashion Revolution has free graphics that you can download and share. Or post a picture of your favorite piece of Fair Trade apparel! We’d love to see what you’re sharing. 3. Ask Who Made My Clothes? Ask your favorite brand to share more information about their supply chain. 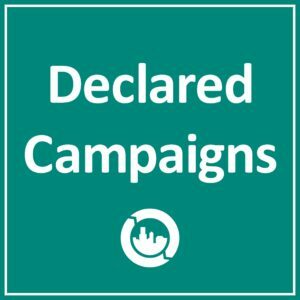 Send an email, start a petition, or tag the brand on social. Or send some snail mail! As consumers, we each have immense power to influence business decisions. Let’s make our voices heard. Not sure what to say? Fashion Revolution has an email template and language for social right here. Whether you bring together a handful of friends, or organize a large event on your campus or in your community, hosting an event is a fun way to spread the word about Fair Trade apparel. Organize a clothing swap or tie-dye Fair Trade t-shirts. Host a Fair Trade Fashion Show – we’ve got an event guide to get you started. Host a book club meeting or film screening – we recommend Where Am I Wearing or The True Cost. Arizona State University is hosting their first Fair Trade Fashion Show. Chicago Fair Trade is organizing a panel discussion, Fashion at a Turning Point. DePaul University is teaming up with Chicago Fair Trade to host a Fair Trade Fair. Find more events on our Facebook page, or share yours in the comments below! Tune in on April 22 for our Fair Trade Apparel webinar. As conscious consumers, it’s our responsibility to also be informed consumers. 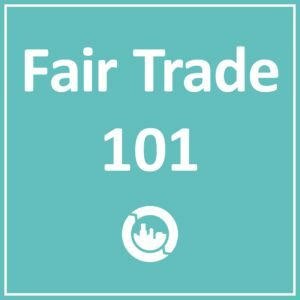 Take a few minutes to learn more about Fair Trade apparel with our 101 guide. Review the 2018 Fashion Transparency Index from Fashion Revolution, or listen to their podcast. Learn from industry leaders in this conversation from the 2018 National Conference – Transforming an Industry: Fair Trade Apparel.